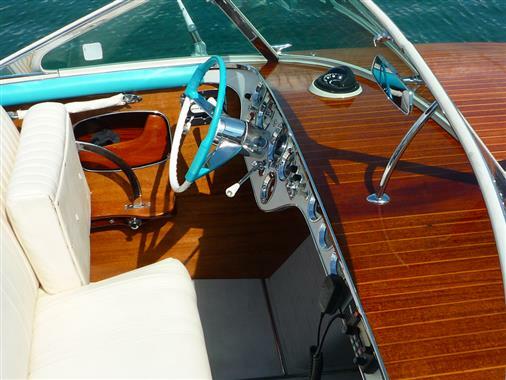 Cockpit with foreword bench seat, second bench seat, and sunbathing area on the stern. 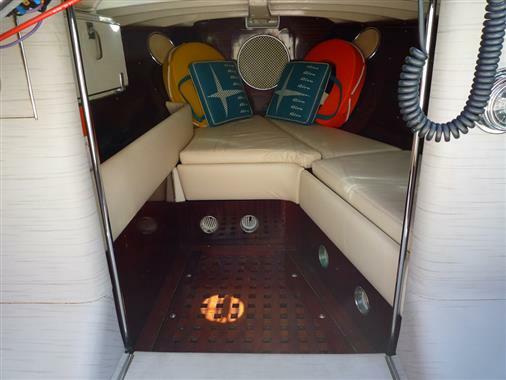 Small, open cabin towards the bow. 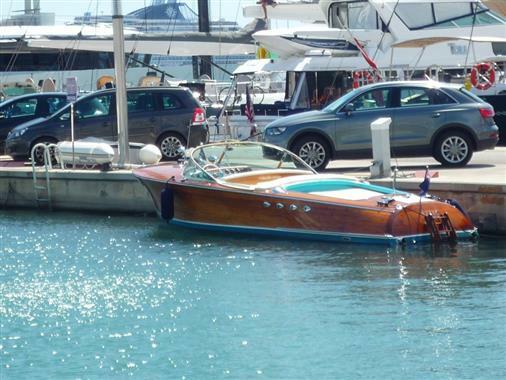 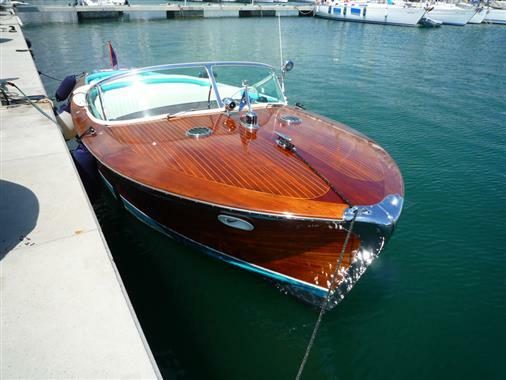 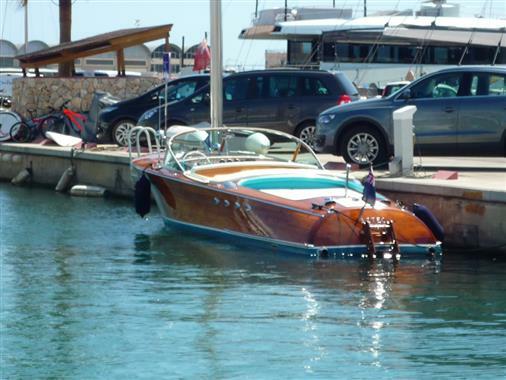 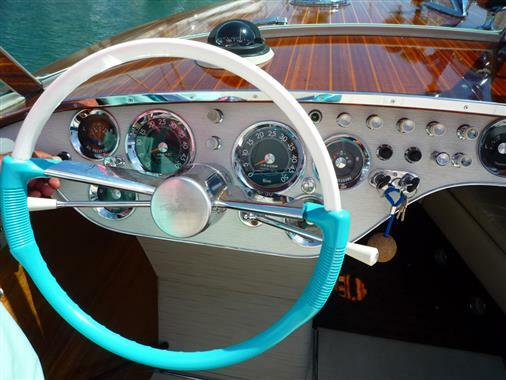 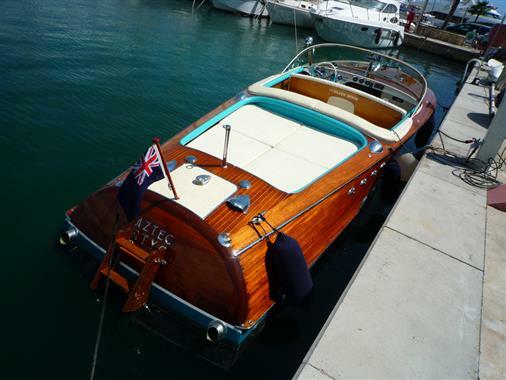 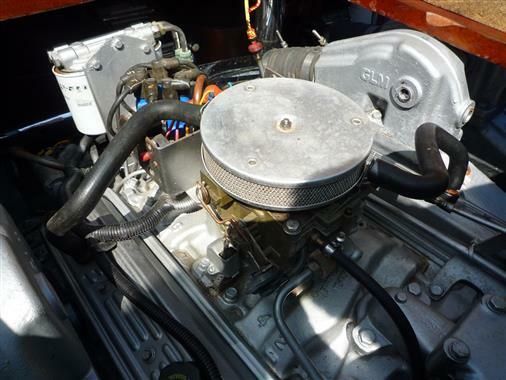 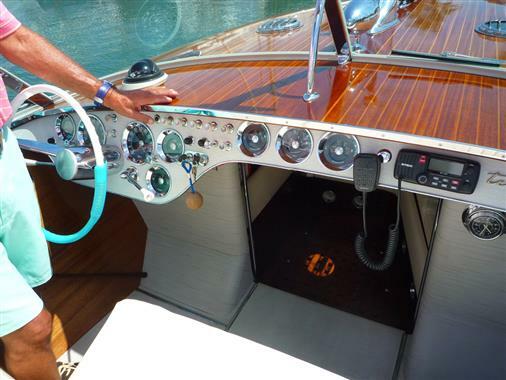 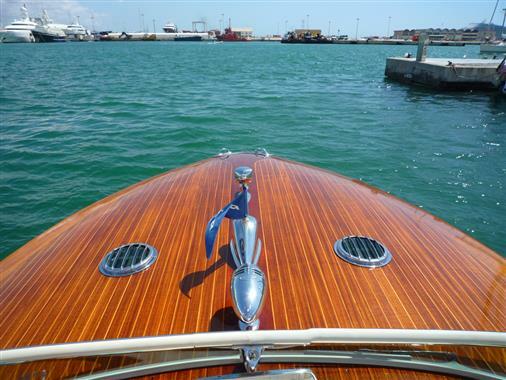 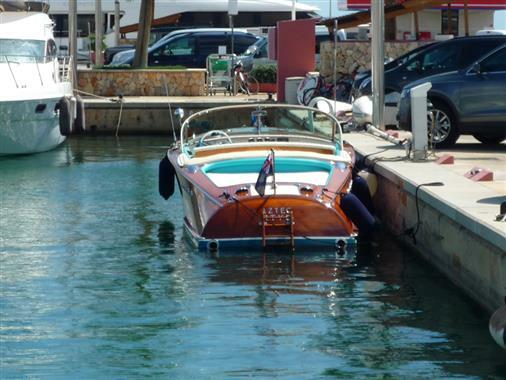 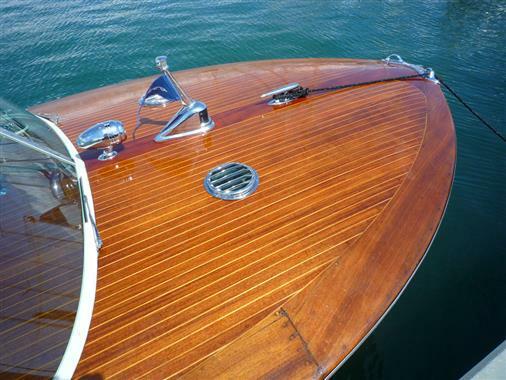 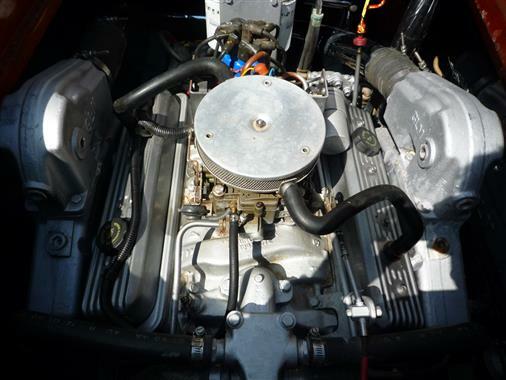 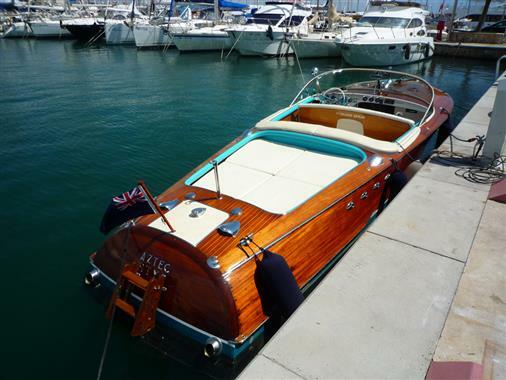 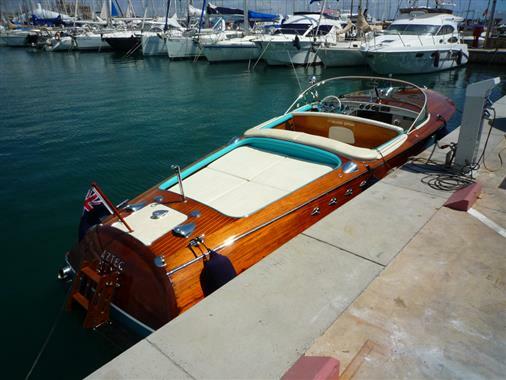 Beautifully finished wooden boat, with chrome finished deck equipment. 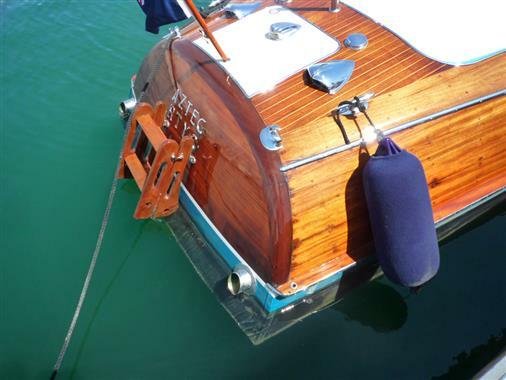 Wooden attachable swim ladder at stern. 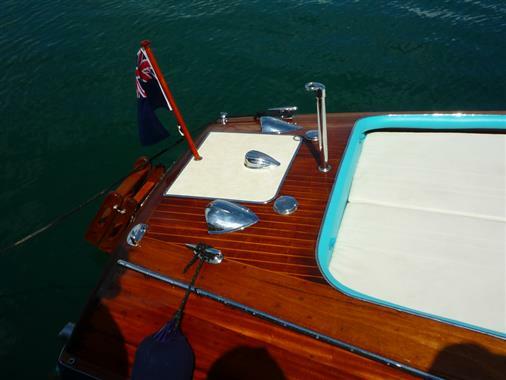 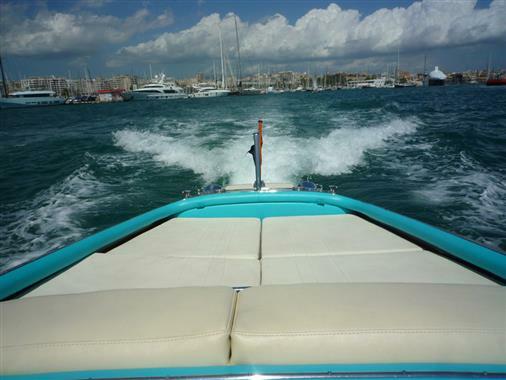 Recently upholstered bimini and convertible tops.